A few weeks ago, I had my second chance of visiting South America. This go around, I was in Ecuador for two weeks, mainly in Quito, Ecuador. There’s something about Ecuador that’s so enchanting. It has its metropolitan parts, yet still retains personal character with its vast mountainous ranges, the sea just beyond them, and the many small towns and villages nestled amongst its array of lakes, rural landscapes, and waterfalls. One of the very first stops outside of Quito that we visited was the town of Otavalo. Famous for its street market, this grand venue in Otavalo was bustling with vibrant colors and beautiful artisan goods. 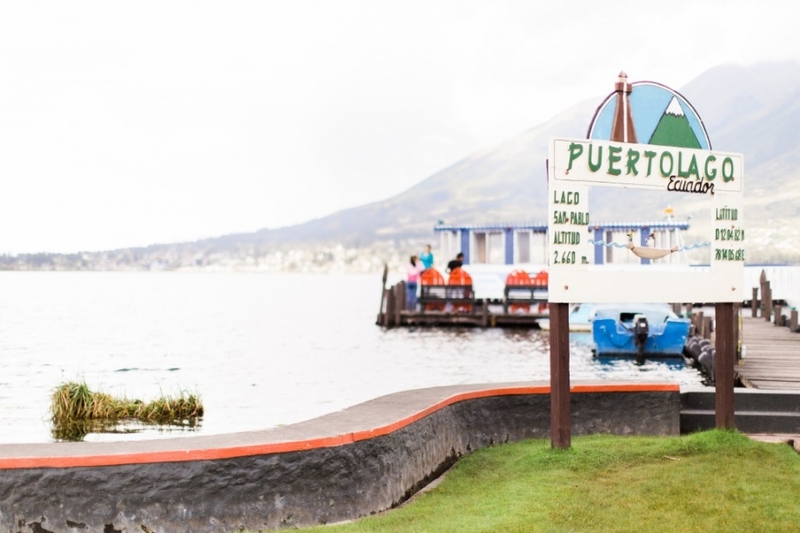 Just nearby, at a lake called Laguna de San Pablo, there was a restaurant that hosts alpacas on its grounds. Needless to say, I was pretty giddy when I saw the alpacas, because I’m only mildly obsessed with them. About an hour away from Otavalo is a popular retirement town in the mountains called Cotacachi. Within this town is the wondrous crater lake (Cotacachi Cayapas). The cloudy skies and fog that had become so familiar to me while I was in Ecuador added to the beauty of the Cotacachi Cayapas Ecological Reserve area. The last leg of our journey was in Imbabura just north of Otavalo. In this vicinity was a magnificent waterfall called Cascada de Peguche. Reaching towards the bottom of the waterfall and feeling the mist as the water plundered down was very awe inspiring, and I couldn’t help but take in all the lush greenery and the abundance of fragrant eucalyptus trees. While going about the city of Quito, I was able to experience things that tourists usually get to do, such as visit the Equator (also known as Center of the World or Mitad del Mundo). Then we got to ride a cable car (or teleferico as they call it in Quito) almost up to 14,000 feet high towards the Pichincha Volcano. 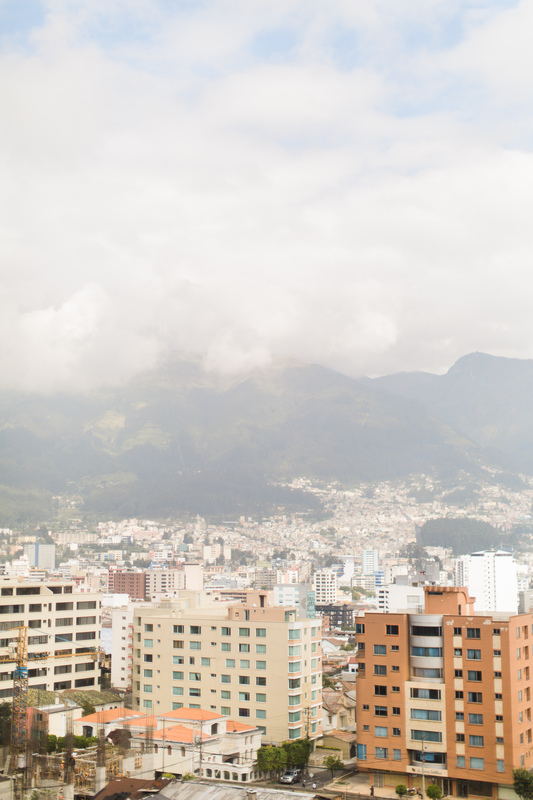 The elevated views of Quito never ceased to amaze me. Being up so high and looking at the city below was a wonderful and serene feeling. Quito is such a beautiful and colorful city. And of course, another obligatory alpaca shot. In the heart of Quito, is the historical district or known as Old Quito. It has resemblance to European architecture and design, not withholding against an assortment of multi-hued buildings and charming balconies. Old Quito hosts a variety of well-known sites, such as the illustrious Hotel Plaza Grande, the formidable presidential palace, numerous historic churches, and the quaint La Ronda area. Of course, there was no way I was leaving Ecuador without seeing the revered La Virgen de Panecillo statue up close and personal. Standing on that high hill where she reigned and surveying the surrounding cityscape made me short of breath. Not because of the difference in elevation, but because of the endless, chromatic and picturesque view I had of all of Quito. 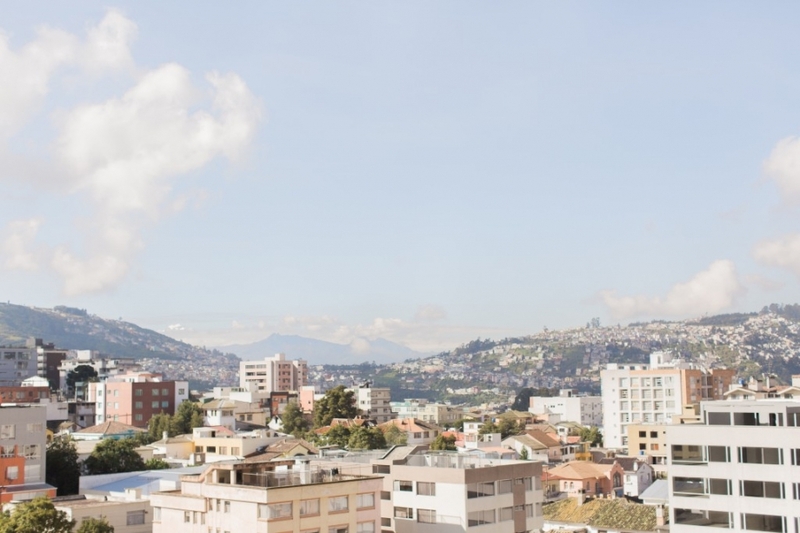 It was a panoramic wonder that even my camera could not capture all of this Ecuadorian city’s beauty.